Last week I went on a quick work trip to Copenhagen. 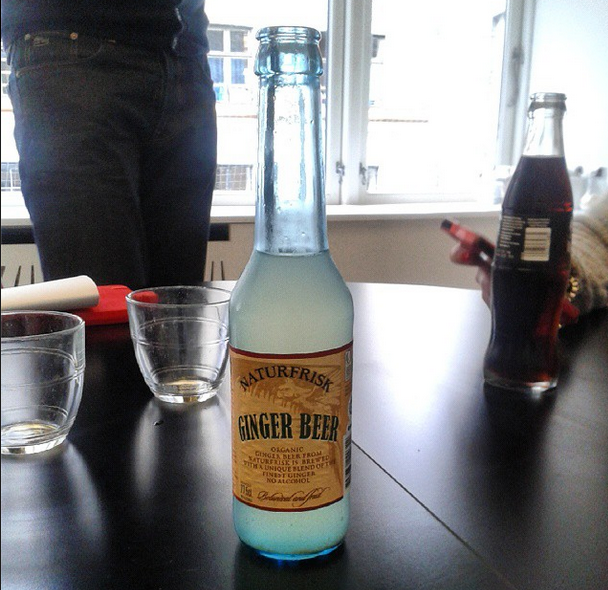 We had a really productive meeting at Republikken, which is a really awesome creative working space/cafe where I had the best ginger beer that I have ever tasted! My pictures really don't do the cafe any justice. Tivoli is really magical at night, full of fairy lights, lanterns and lots of cute little cafes and gift shops. I didn't take my camera with me for the fear that I was going to have one too many cocktails and break it, but if you get a chance you definitely visit it! The following morning we went for breakfast at Kaffebar which served great coffee and a nice continental breakfast with bread that was straight out of the oven. After the very filling breakfast we talked by the canal and took a canal boat tour which I would really recommend, especially if like us you're only there for a flying visit as we got to see so much of the city in just an hour. The streets of Copenhagen are very clean, very wide and full of georgeous colourful buildings. I loved all the architecture and vibrance of the city. I will definitely be coming back and hopefully exploring more next time!